Today all Hindus keep their thoughts on Facebook and Whatsapp. But for some time, those thoughts remain on Facebook and Whatsapp and remain confined to a certain extent. Today, Suddh News has brought this option to you. If you write good or say good, then keep all those thoughts on the blog of Suddh News. Do you know that you have become a good and famous writer or spokesman walking ahead of your written words? You can keep your thoughts on any topic, but it is important to keep in mind that your thoughts match Hindus and Hindutva. It is also necessary to pay attention to whether or not we are giving some good and informative articles to our next generation. 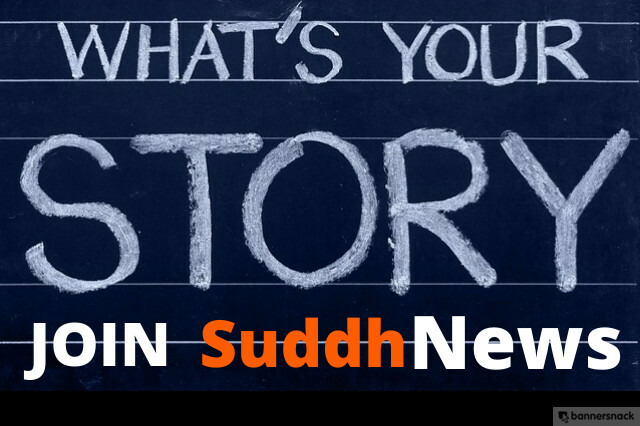 Suddh News has the option of earning online money,online income which is not available on any other Hindu blog, we are giving this opportunity to our Hindu brothers. The rules for writing on pure news are as follows. You can keep your thoughts on any topic, but your views will only be matched by Hindus and Hindutva, keeping the dignity of Suddh News. It is important to keep in mind that we do not disrespect any other religion according to our tradition. The words written by you will remain limited to your copy and paste for some time. Taking content from someone else's site here does not make you attractive or spread your publicity. People think that after writing the article, you are finished. But they are wrong after the article is completed, the main work begins. You need to promote your article on social networking sites and then have to reply to all comments received on your article. Your communication will help you to enrich your article. Along with your articles you will also have to use good photos. The way a painter's painting reaches his message, the photograph related to your article will help you to influence your views more. Being affiliated as a good choice, Suddh News can be backed up by your article by making a back-link to some of your article related to your article. You will be given a bank account number in order to pay your prices since your article 1000 person has seen so that we can deposit your money directly into your bank. Ignoring the rules will violate the rule and you can always get out of the Suddh News. How to submit article & where to submit it ? Please give special link.